Under 16 Requires Accompanying Parent or Guardian. ‍This Interactive Movie Experience pokes fun of your favorite films with live commentary, digital skits, and audience-curated improv games. 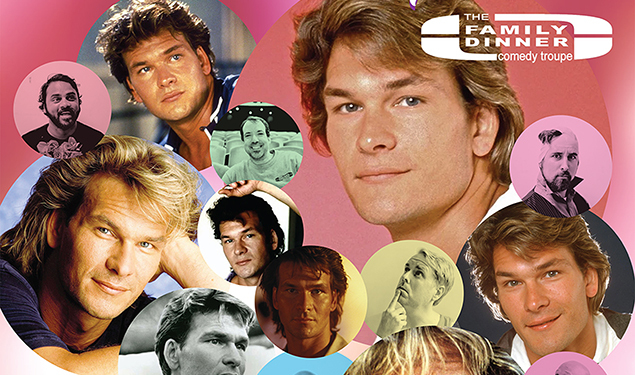 Family Dinner Comedy Troupe celebrates the film career of Patrick Swayze by spoofing clips of some of his greatest works. This will be probably the greatest (and funniest) way to celebrate Valentine’s Day! Bring a date or come with friends. The drinks will flow and the laughs will be uncontrollable.